In its race to corporatise, centralise and improve team performance over the past seven years, Cricket Australia’s leadership lost sight of the fact that sport is not a business, and that cricket in particular is judged by the way in which its participants abide by the spirit of cricket as much as by how often they win or lose. These are among the key findings of the Ethics Centre’s independent review of CA, released on Monday. Composed by Dr Simon Longstaff in conjunction with a player review conducted by the former Test batsman Rick McCosker, it has exposed the governing body as “arrogant” and “controlling”, while casting back to the introduction of more outwardly corporate structures and goals by the 2011 Argus review as a key point on the road towards the Newlands ball tampering scandal. 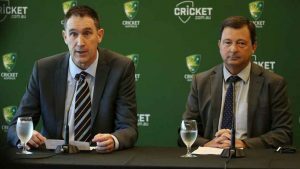 Equally, the review has outlined clear divisions between CA’s Board and executive, its state association owners, and the players represented by the Australian Cricketers Association. Critically, CA’s overarching strategy for 2017-2022 is shown to be missing strong links to the spirit of cricket that underpins behaviour within the game, with the review also identifying a consistency between the corporate behaviours of CA in dealing with stakeholders and sponsors and the moral decay of the national team leading to the choice of David Warner and Cameron Bancroft, with Steven Smith’s tacit support, to use sandpaper to try to gain reverse swing in Cape Town. Among 42 recommendations outlined by the review are the desire for Australian cricket to establish an ethics commission to oversee the ethical health of the game in Australia, and also the formation of the Australian Cricket Council to create a forum for frank discussion among the chairs of CA, the state associations, the ACA and the Cricket Umpires Association. Tellingly, the CA Board has already declined a recommendation to publicise the Minutes of its regular meetings, with commercial-in-confidence information removed. Among many key findings is the identification of a set of “shadow values and principles” that outline the way CA actually operates, as opposed to the ideals expressed in the governing body’s many codes and strategy documents. These include attitudes such as “command and control”, “only results matter”, “high performance is what we are here for”, “Australia needs us to win”, “individual first”, and “combativeness and aggression is good”. “Australian cricket has lost its balance … and has stumbled badly. The reputation of the game of cricket, as played by men, has been tainted. Women’s cricket remains unaffected,” the review states in its executive summary. “The leadership of CA should also accept responsibility for its inadvertent [but foreseeable] failure to create and support a culture in which the will-to-win was balanced by an equal commitment to moral courage and ethical restraint. “While good intentions might reduce culpability – they do not lesson [sic] responsibility … especially not for those who voluntarily take on the mantle of leadership. In our opinion, CA’s fault is not that it established a culture of ‘win at all costs’,” the review states. “Rather, it made the fateful mistake of enacting a program that would lead to ‘winning without counting the costs’. Deep divisions in Australian cricket, as epitomised by the 2017 MoU dispute and ongoing squabbles between the state associations and CA, are emphasised by the fact that the most positive responses to the review came from board directors and senior management, while the most negative emanated from the ACA, the players and the states and territories. “With the exception of CA’s own Board and its senior executives, the broad consensus among stakeholders is that CA does not consistently ‘live’ its values and principles,” the review states. “CA is perceived to say one thing and do another. The most common description of CA is as ‘arrogant’ and ‘controlling’. The core complaint is that the organisation does not respect anyone other than its own. Particular focus is placed upon the fact that in neither the “How We Play” element of the most recent Australian Cricket Strategy, nor the former coach Darren Lehman”s blueprint “The Australian Way”, is any reference made to the spirit of cricket or to respect for opponents and umpires. Similarly, the code of ethics for Board directors is deemed “problematic” in that it does not link closely enough to CA’s broader ethical framework or its code of conduct – the instrument by which Warner, Bancroft and Smith were suspended. A loss of recognition of the spirit of cricket is also demonstrated at the corporate level, as underlined by the use of the term “smashing the boundaries” in the “How We Play” element of the strategy. “The incidence of verbal abuse extends beyond player behaviour,” the review states. “It is also said to be evident in other stakeholder relationships and extends to turning a blind eye to behaviour that would normally be described as bullying. While the report states that the changes brought about in 2011 by the Argus review of team performance and the Crawford/Carter review of governance have resulted in considerable success for CA, both in terms of on-field results and also the growth of the game via the Big Bash League, the WBBL and successive record broadcast deals, there was a lack of balance provided in terms of accounting for the side-effects of a more aggressive corporate outlook. In the words of the review, CA failed to “anticipate and correct for a potential lack of balance – and ethical restraint – in the application of the Argus ‘blueprint’.” There are no fewer than 38 instances of text of the review being redacted from public view, largely to remove references to individuals for legal reasons. 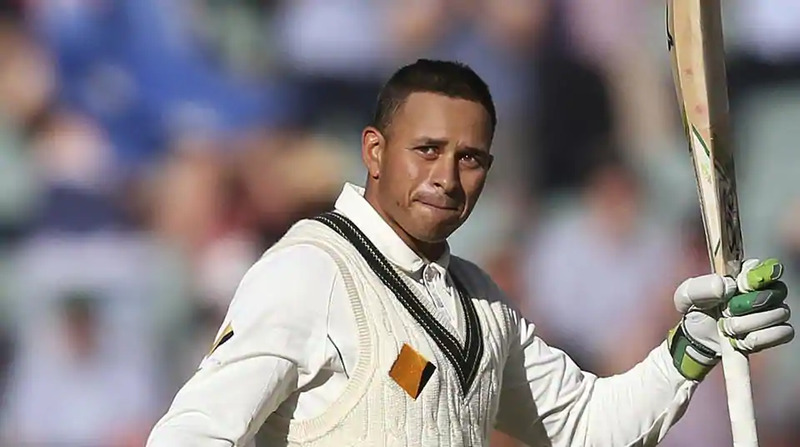 Pakistan probably has Khawaja as the main hindrance on their way to victory against the Aussies. Parami Wasanthi returns from Argentina with her Youth Olympic bronze medal.